Saturday, Sunday: Closed. Please submit form below. Got trash? Camco has the solution. We provide temporary trash container rentals throughout Virginia Beach, Norfolk and Suffolk. We’re cleaning up the community one dumpster at a time. We’re the most experienced locally-owned commercial and residential dumpster rental provider, offering decades of combined waste hauling experience under our belts. Our comprehensive rental process gives us a leg up on the competition. We can get your trash bin delivered as soon as the same day you call. Give us a call when you’re done loading it up, and we’ll be there to haul it away ASAP. 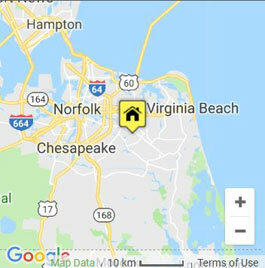 For trash removal in Virginia Beach, VA call the experts at Camco Disposal. Call Camco at (757) 581-0471 and speak to one of our friendly staff. It’s quick and simple. They’ll help you choose the ideal dumpster size for the job, and you’ll get a free quote. The dumpster will get dropped off at your desired location. Often times, we can drop off the container the same day you call us. Once you have the dumpster loaded up, call us back to pick it up. One of our drivers will pick up the dumpster and haul it away. It’s as simple as that. 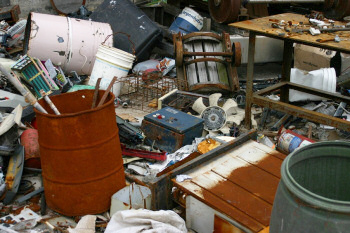 Call Camco Disposal, LLC today to see how we can help clean up your home, business or jobsite. Our office hours are Monday – Friday, 7am – 6pm. Call Camco Disposal at (757) 581-0471 for the best dumpster company in Virginia Beach. © Copyright All Rights Reserved. This website is for advertisement purposes only, errors may exist. Your use of this web site is subject to additional Terms and Conditions.